Distracted Driver Mows Down Pedestrians on South Quadrille Boulevard | Schuler, Halvorson, Weisser, Zoeller & Overbeck P.A. 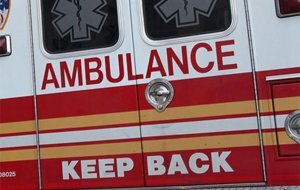 Authorities said a distracted driver drove his SUV into four pedestrians on South Quadrille Boulevard in West Palm Beach. Officers of the Florida Highway Patrol were on the scene of a crash involving an SUV and four pedestrians; the crash occurred along South Quadrille Boulevard in West Palm Beach. The driver of a Ford SUV traveled northbound on the inside lane of South Quadrille Boulevard when he picked up his cell phone to answer a call. In a split second of distraction, he swerved off his lane, climbed onto the sidewalk, and drove into a crowd which had rallied by the side of the road. An eyewitness described the crash as a horrible nightmare with screaming people running in all directions. Four pedestrians sustained injuries in the crash, including a 12-year-old boy. The 12-year-old was knocked out cold by the impact of the crash. According to eyewitness accounts, the crowd had gathered to watch a street performer who was playing the violin close to the curb. “It all happened in a flash, the car appeared from nowhere,” said a young storekeeper who was also present at the scene of the accident. Upon arrival, paramedics rushed the injured pedestrians to the hospital. Additionally, paramedics resuscitated the 12-year-old boy and put him in an ambulance for transport to the hospital. Officials said he is in stable condition at the moment. Meanwhile, the SUV driver did not sustain an injury in the crash. Police are considering reckless endangerment and dangerous driving as a few of the charges that can be brought against the driver. Authorities have not filed charges at the moment and investigations are ongoing.